It looks like Hulu has been a pretty good deal for The Mindy Project. The former Fox comedy was revived by the subscription streaming service and given a huge episode order for Season 4. Now, Hulu has opted to renew The Mindy Project for Season 5. That’s not the only good news for Hulu subscribers, either. At its upfront presentation, Hulu also announced that The Path will be back for Season 2 and that Triumph the Insult Dog will be getting a new special. Hulu has apparently been a great fit for The Mindy Project. The series enjoyed a second run and a following on the subscription streaming service even before Fox opted to cancel the series at the end of Season 3. Because it did well on Hulu, the company saw an opportunity and signed on for more episodes when we thought the comedy was cancelled, and Season 4 has even featured some great additional guest stars. The Season 5 renewal is clearly a new thing, and we don’t even know how many episodes The Mindy Project will be getting for Season 5, yet. The same goes for The Path. The Aaron Paul-starrer has enjoyed good reviews since it first hit the scene. It’s one of Hulu’s few originals and it’s not a huge surprise the subscription streaming service would want to keep The Path around. Like The Mindy Project, we don’t know how many episodes The Path will be getting during Season 2. 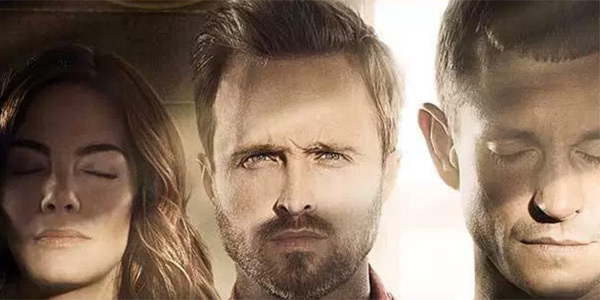 The Path’s final Season 1 episode is set to hit the schedule on May 25. In addition, the special Triumph’s Election Special, will air sometime later in 2016. It is the second special of its ilk from Robert Smigel. The renewals and orders join a slew of upcoming originals at Hulu, including Shut Eye, Chance and the recently announced The Handmaid’s Tale. The renewals are coming during a time period where Hulu is growing rapidly. The subscription streaming service recently announced it will be reaching 12 million subscribers by May. In addition, we learned that Hulu is looking for other ways to expand, as well, and is looking to put together a package that will include live TV streaming and On Demand along with Hulu’s current streaming slate. We’ll late you know if this comes to fruition. In the meantime, as noted prior, there’s still time to catch new episodes of The Path and The Mindy Project still has a few Season 4 episodes to go. With that in mind, we’ll let you know when Hulu gives the upcoming batches of episodes new premiere dates. In the meantime, you can see what else is coming up on TV and streaming with our summer TV premiere schedule.